This story is all over the news this morning, so it’s likely you already know about the untimely passing of drumming legend and Pantera founder Vinnie Paul Abbott. Aged only 54, there are no further details at present and the announcement was made on the Pantera facebook page. Vinnie, brother to Dimebag Darrell who was shot dead on stage in 2004, will be sorely missed. I had the pleasure of meeting him just the once back on the Far Beyond Driven tour and, like his bandmates, he was incredibly happy to spend time with fans outside the venue, signing autographs and basically goofing about. 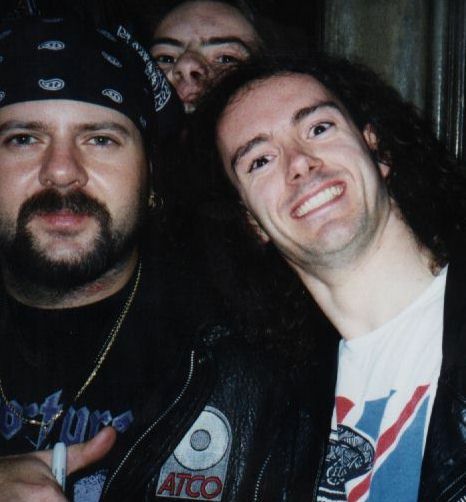 Our condolences go out to the Abbott family, and we’re going to crank up some Pantera in his memory.